Final Fantasy IV was my first Final Fantasy game. 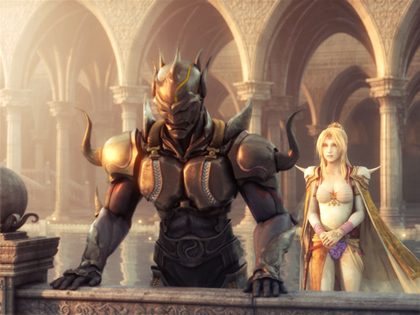 The saying goes that your first Final Fantasy game winds up being your favorite. That’s partly true for me. By the time I finished the game, I was upset that my journey with my digital friends was over; we had gone through so much together! But probably the biggest mountain I overcame with my party was witnessing Cecil’s battle with darkness. At the start of the game, Cecil, along with the Red Wings, return to the Baron after having committed a terrible act of terrorism against a neighboring kingdom, to steal their crystal. We see Cecil struggle with the weight of his actions, something the Baron takes note of. The Baron then sends Cecil and his friend, Kain, to deliver a special ring to the Village of the Mist. Upon arrival, the ring glows and spews forth bombs that began laying waste to the village. The game continues on from here as Cecil continues to wrestle with his actions and his Baron’s betrayal. It isn’t until we learn that Cecil must scale the Mount of Ordeals and become a Paladin: a warrior capable of great power that wields light. It’s here, that we see Cecil come face to face with his inner darkness, full force. All this time, Cecil thought he could contain his inner darkness and maybe use it for his own benefit. However, at the top of the Mount of Ordeals, Cecil realizes that he simply cannot use darkness anymore; he must cast it away from him. When Cecil does this, a flash of light fills the screen. As everything slowly fades back into view, we see that Cecil is donning new armor, shining bright with light, and he has been set back to level 1. Cecil is now a Paladin; a new creation. He then goes on to confront evil and pleads with his enemies to renounce the darkness they hold onto. We are literally left to our own vices; our sin nature. We try to rationalize a morality apart from the Bible, while indirectly always leading back to the Bible. But we do things our way, apart from God, so as to appease our flesh, our sinful cravings; we simply do what we feel is right. Cecil was following orders that he thought were fitting, according to his worldview. However, after he begins truly cross-examining his actions, and their weight, he feels convicted. He feels grief. He is disturbed by the lives he has taken and the acts of terror he has committed. He becomes aware of this darkness inside. Yet, he believes he can control it, if he is strong enough. So often, we, as Christians, even think this as well. We think that we can manage our sin, our own temptations; we just have to be strong enough. But there is no management of sin. John Owen once said, “Be killing sin or it will be killing you”. See, sin is what separates us from God; it keeps us from living life as God had intended. It’s so severe that the wages of sin is death. It will corrupt us morally, spiritually, physically, and mentally. And we buy into the lie that it’s no big deal. 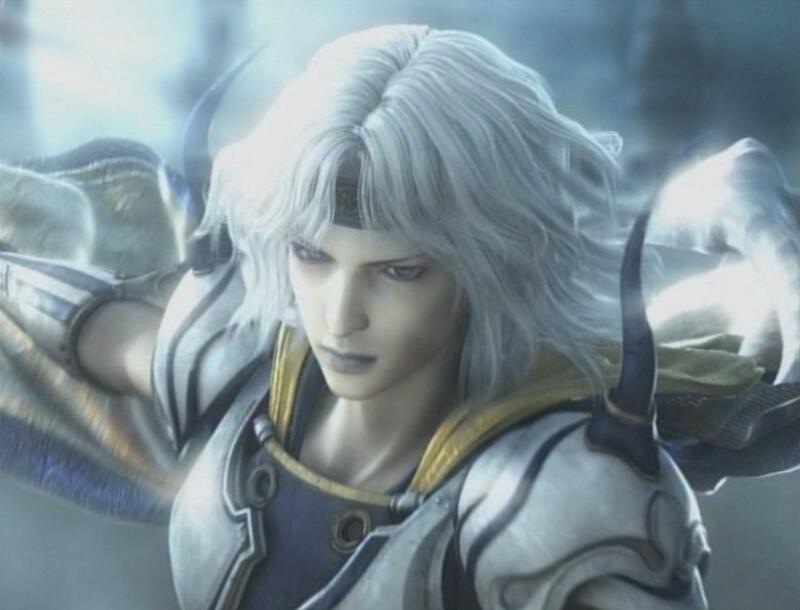 Yet, we see even in Final Fantasy IV, sin affects not only ourselves, but those around us. How, then, can we get rid of it? When we come to receive Christ’s gift of salvation, we encounter our moment at the top of the Mount of Ordeals. It’s here we wake up to the realization that we cannot simply clean up our own mess. Rather than trying to control our out-of-control sin, we have to let it go. And once we do, we have newness of life. We are born again. Our old, dark, rusted armor is gone; behold, our bright, new armor is here. There’s plenty of opportunities for Cecil to turn back to darkness. One of the villains in the game, Golbez, tries to tempt Cecil to embrace darkness once more, to join him in his quest to conquer the world. Yet, Cecil resists these temptations at every turn. After he’s learned that the light is stronger than darkness, he refuses to go back. As Christians, that’s our strength as well. Sin may be fun, and feel good, for a short period of time but it’s consequences have widespread impact that causes destruction, spiritually and, sometimes, physically. Yet, Christ is always better for He offers life to the fullest (John 10:10). 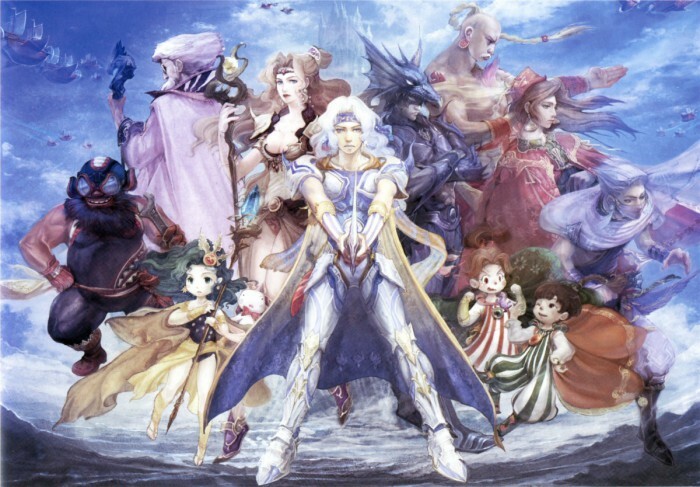 If you have never played Final Fantasy IV before, I highly recommend you do so. The game is almost a virtual Pilgrim’s Progress on a few different levels, Cecil’s storyline being a primary example. Cecil’s journey is a fantastic reminder that, though we might have made some heavy mistakes, we can still be redeemed. Through this redemption, we have freedom from our past mistakes, thanks to Christ, and we can walk in newness of life, no longer chained to our sin. Sheesh, words are hard. Or, grammar is hard. Good call-out! Great post here Logan. Enjoying very much this series of Gaming Theology. I myself write for Geeks Under Grace and have my own Christian gaming site at http://www.gamingandgod.com It’s nice to read a different perspective on gaming from other Christians. I am a huge RPG fan, and yet have never played this one which I have heard is one of the best ones ever. Some say it’s the best FF to date….what do you think? Hey Samuru! Glad to hear you’re enjoying our content! I’m actually familiar with both of your sites and, I think, your Twitter handle. You know, as far as Final Fantasy games go, finding the best one is hard because each person has a different answer. Personally, Final Fantasy VI is my favorite, with IV coming in a close second. That being said, I’d definitely agree with folks who say IV is one of the best in the series. If you haven’t had a chance to try it out though, I’d highly recommend it! Awesome, glad you’ve checked us out before 🙂 I haven’t played either of those FF games…I believe I have them both or one of them on PSN when they had a flash sale. I try to do one RPG at a time, so right now I’m on Xillia 2 mode and finishing it up then moving onto another one. Will give a FF a try to change things up. Nicely done, sir! I forsee you will become a great Jedi Knight…er, I mean youth pastor. Looks like all that time spent with FF has paid off! 😉 I love how the Gospel is so evident in the creative works of men, whether they’re personally redeemed or not. Soli Deo Gloria! And play all the gamez!